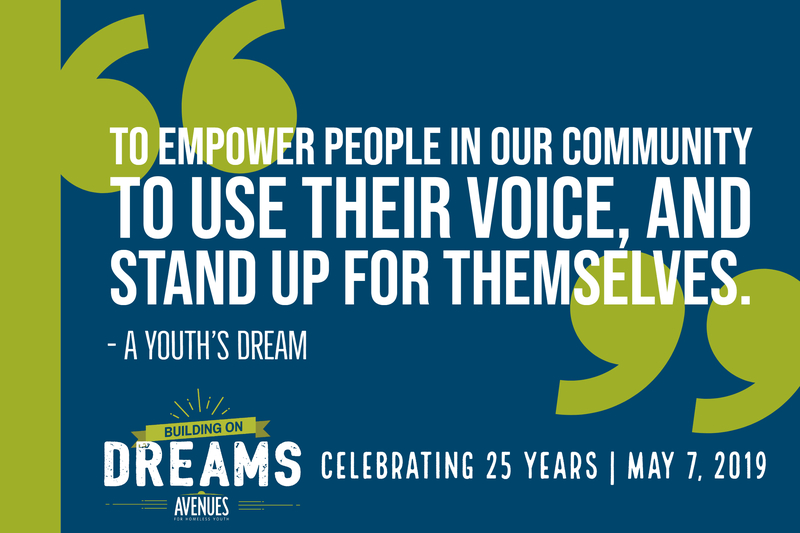 Help us celebrate our 25th anniversary at Building on Dreams. You're invited to help us celebrate our 25th anniversary by hosting your friends at the Building on Dreams breakfast on May 7th, 7:30-9:00 a.m. Hosting a table of guests is as easy as inviting friends over for dinner. There are no tickets to sell, and there is no financial commitment. Since you care so much about Avenues, you would make an incredible table host. 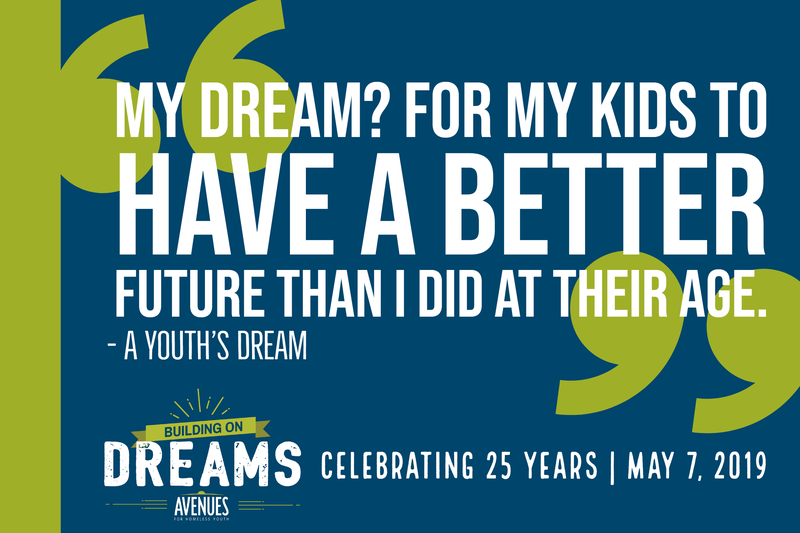 All you need is your passion for Avenues' mission. ▸ Why is being a table host important? 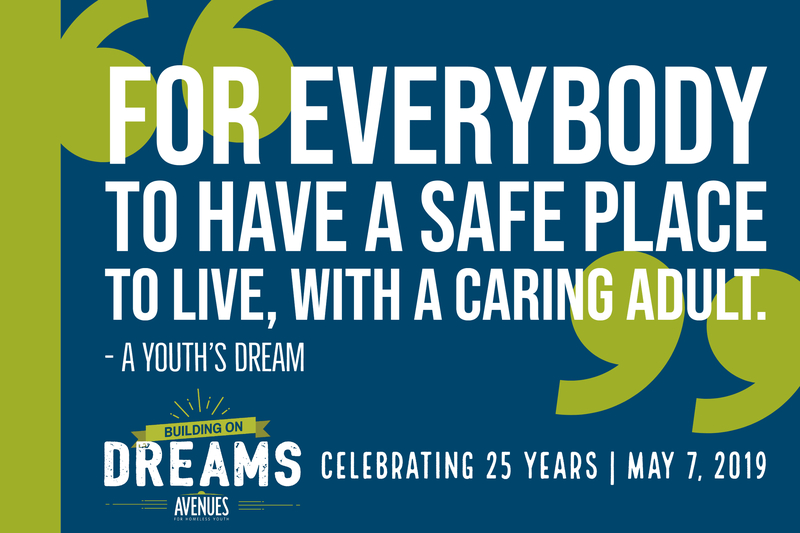 In honor of our 25th anniversary, this year's event will be a celebration of Avenues' history, and an opportunity for the community to support youth experiencing homelessness in the years to come. You have supported our mission, and you have your own reasons why. Your reasons are powerful, and they can inspire others to care. We have a goal of raising $125,000 at this year's event, and you can help make that possible. ▸ What does a table host do? Hosting a table is fun and easy! You'll commit to filling a table of 8 (that's 7 people, plus you) at our Building on Dreams Breakfast fundraiser on May 7, 2019. It's from 7:30-9:00am at the Nicollet Island Pavilion. Avenues staff will provide you with all of the materials you need, including invitations and graphics for social media posts. We're also here to answer any questions you have. ▸ What do I need to do on the day of the event? On the day of the event, you'll arrive between 7:00-7:15 to pick up your table host packet, and be there to greet your guests. We will provide you with information about the table host responsibilities during the event. ▸ I'd like to help, but I've never done something like this before, will you help me? Yes! We are here to help any time. We will have a table host kick-off party on March 6 from 6:00-7:00 pm at Camden Avenues, 1210 37th Ave N Minneapolis, MN 55412. There will be food and fun! You'll be able to meet the other table hosts, and Avenues staff will be there to answer your questions, provide support, and give you ideas about who to invite if you're stuck. ▸ What happens after the event? On the day after the event, Avenues staff will be sure your guests are contacted and thanked for coming to the event. We'll share the amount that was raised, and celebrate you and your efforts. ▸ Who do I contact about hosting? We're here to help you host a table. Are you ready to host a table at Building on Dreams? First, contact Anna Bergreen, Avenues' Development Director, so that we can add your table to registration. Then download the tools below to get started. Hi Jane. Will you join me for breakfast at Building on Dreams on May 7?  The fundraiser supports Avenues for Homeless Youth, a local nonprofit I'm passionate about. They support youth experiencing homelessness with housing, supportive services and 24/7 staff. Avenues is celebrating it's 25th Anniversary this year. I hope you'll join me in celebrating! When registering, guests will get to pick which table they are part of. Make sure to let your guest know to pick your name when registering. Download talking points here to talk to your guests about. Click the image to download, then copy and paste it into your email.